Comparative study shows Israelis enjoy top health care, but need to work on environmental protection. 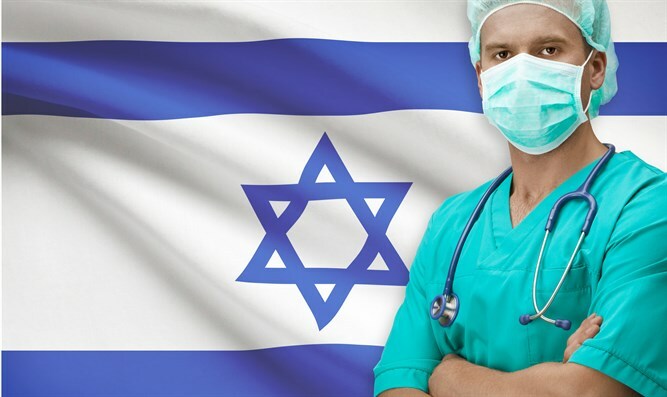 A recent study ranked Israel's health care system as the ninth-best in the world, the UK's Business Insider reported. The research, conducted by the London-based Legatum Institute, compared 104 variables and listed nine subindexes. The study examined three basic components of health: availability of preventive care, health infrastructure, and citizens' physical and mental health. One of the wealthiest nations, Luxembourg has a life expectancy of 82. Luxembourg came in first in the research's health and personal freedom subindices, and second in their safety subindex. Singapre came in first place for safety, and second for health. Its 5.6 million citizens have an average life expectancy of 83.1 years. With mandatory health insurance, Switzerland came in third in the study's health subindex and first in the education subindex. However, the European country ranked eighth in safety and eighteenth in personal freedom. With the highest average life expectancy - 83.7 -years, it may not be a surprise that Japan's health index ranked fourth highest. The Asian "Land of the Rising Sun" also came in third for safety. Though the Netherlands came in fifth for best health, they ranked second economic quality and education, and fourth in governance. However, in 2015 the Netherlands ranked at the top of the annual Euro health consumer index, which compares healthcare systems in Europe, scoring 916 of a maximum 1,000 points. Sweden ranked sixth on the study's health index and fifth on its governance index. With the fourth highest life expectancy in the world, the average Swedish man will live 80.7 years. Ranking seventh in health and fourth in business environment, Hong Kong has 53 hospitals (42 public and 11 private) for its population of 7.2 million. Australia ranked second in personal freedom, fourth in education, seventh in business environment, and eight in health. With the best health ranking in the southern hemisphere, Australia's life expectancy is 82.8, placing it as fourth highest globally. Israel received the highest health rating in the Middle East, and its citizens have a life expectancy of 82.5 years - eighth highest in the world. The country's single-payer, multiple-provider system ensures that every citizen receives health coverage, yet insurance providers must compete in order to draw clients and receive funding. Germany ranked fifth in business environment, seventh in safety, ninth in social capital, and tenth in health care and governance. With an average life expectancy of 81, Germany's citizens are some of the healthiest in the world. In January 2016, Israel ranked as the world's eighth most powerful country, and in May of that year, the country's average life expectancy was declared fifth highest in the world. In June 2016, two of Israel's universities ranked in Asia's top 20, and six made the top 200. Earlier this year, Israel ranked fourth in the list of best countries for expats and families. Not all is rosy, though: Despite Israel's high ranking in health, it came in 133 - out of 149 - in the quality of the natural environment, environmental pressures, and preservation efforts.